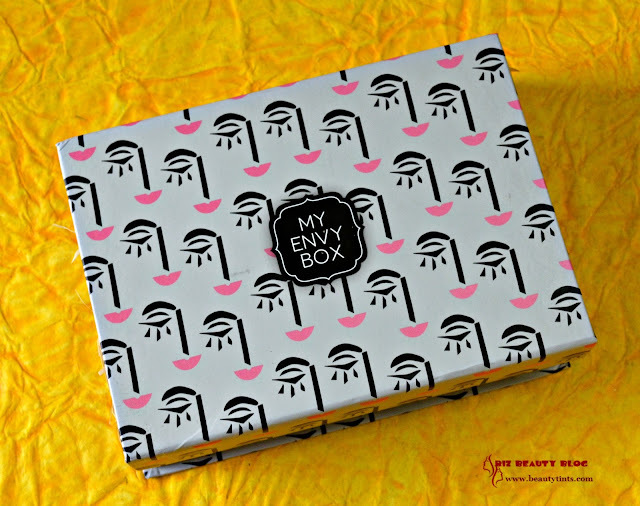 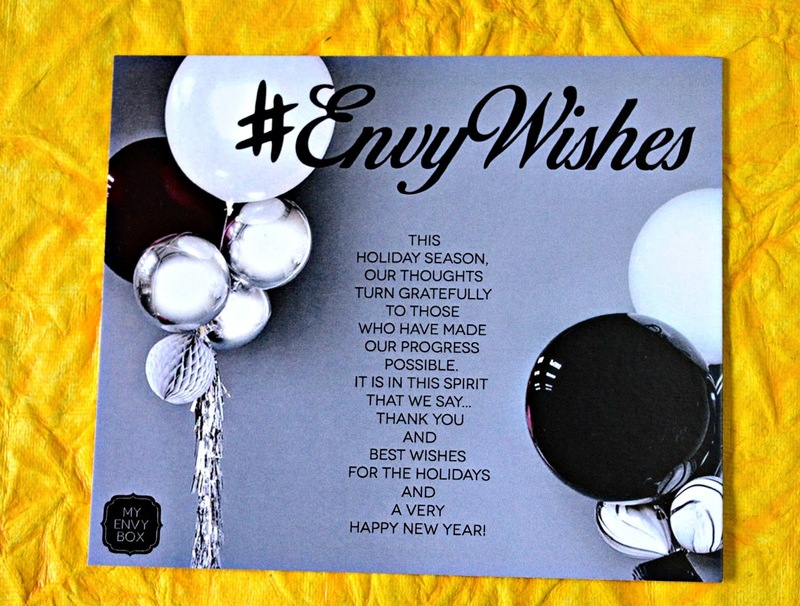 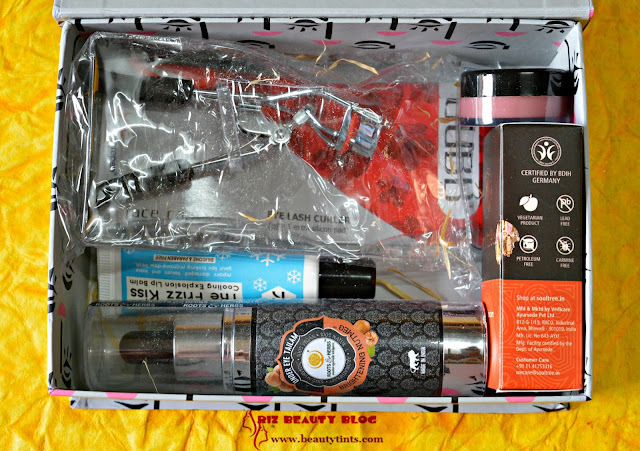 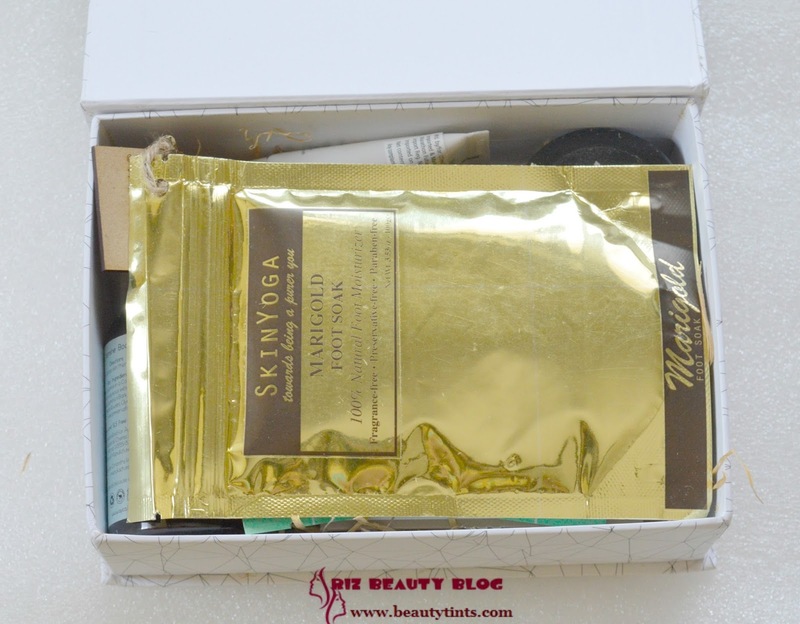 Sriz Beauty Blog: My Envy Box December 2016 Edition Review!!! 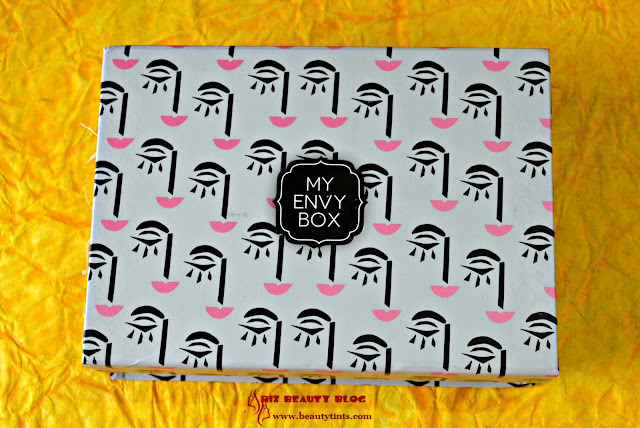 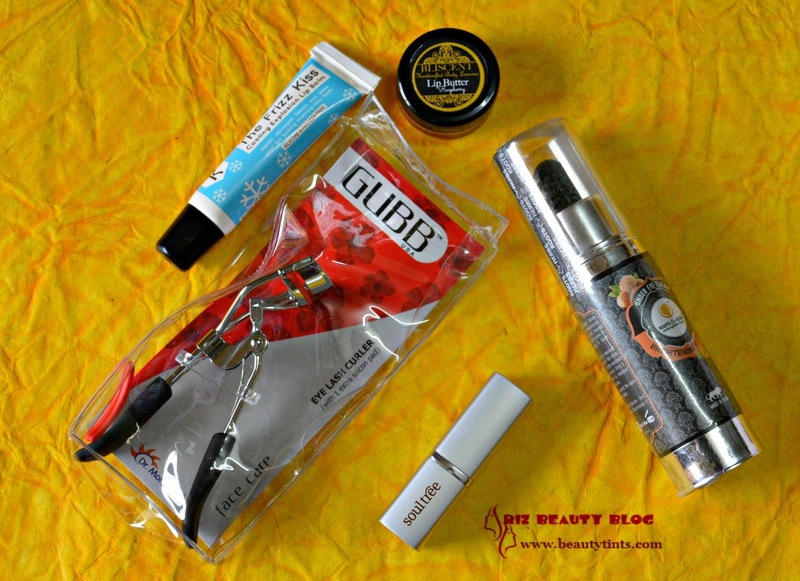 I am back with the review of the My Envy Box for the month of December,and this months theme is all about 'Lashes & Pouts' and this month's box has motifs of Face showing eyes and lips to go with the theme! 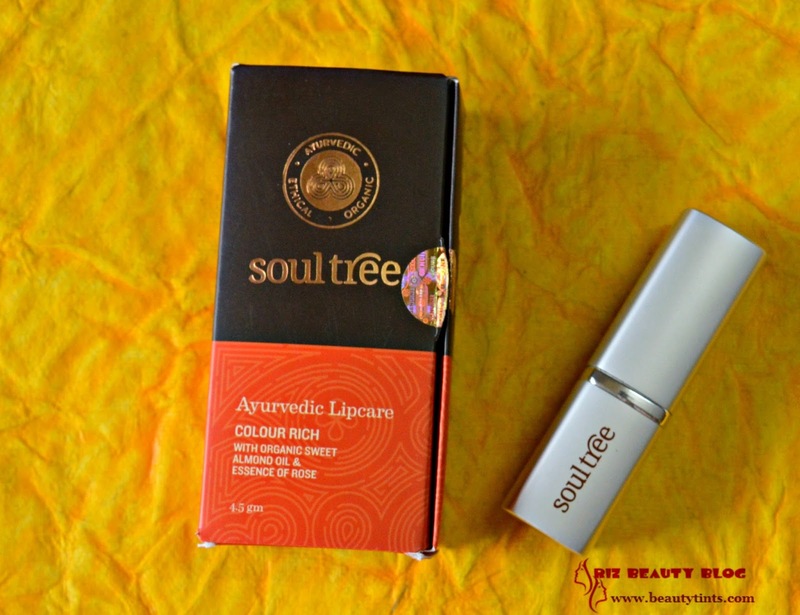 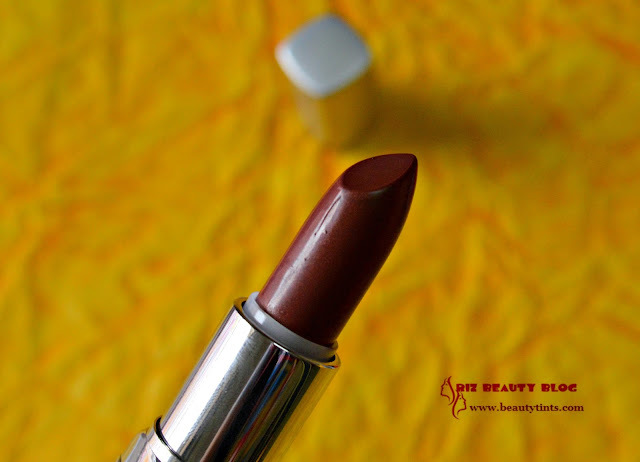 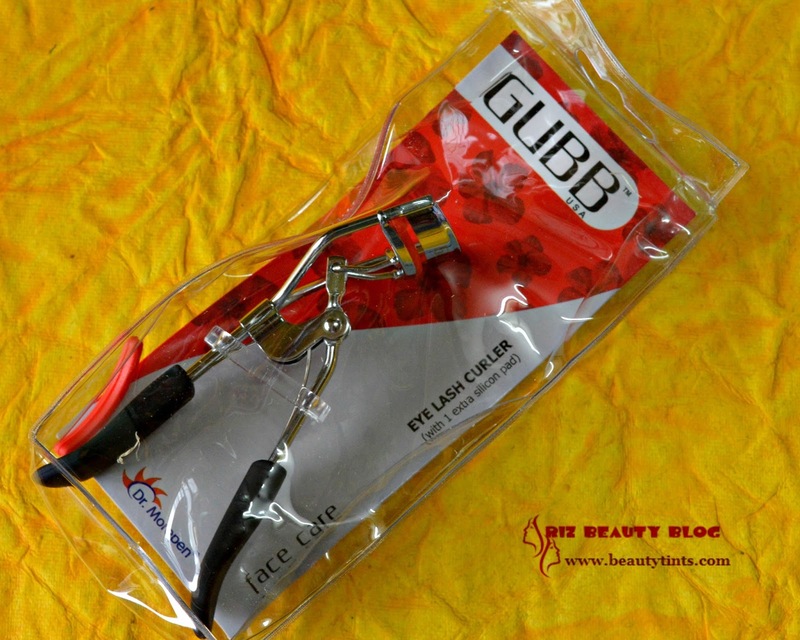 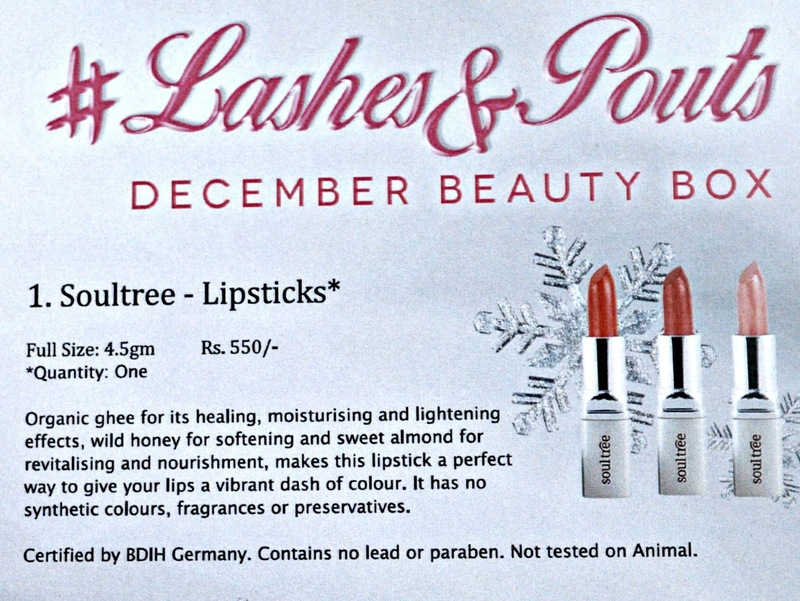 1) Soul tree Lipsticks (4.5 gm) : Rs. 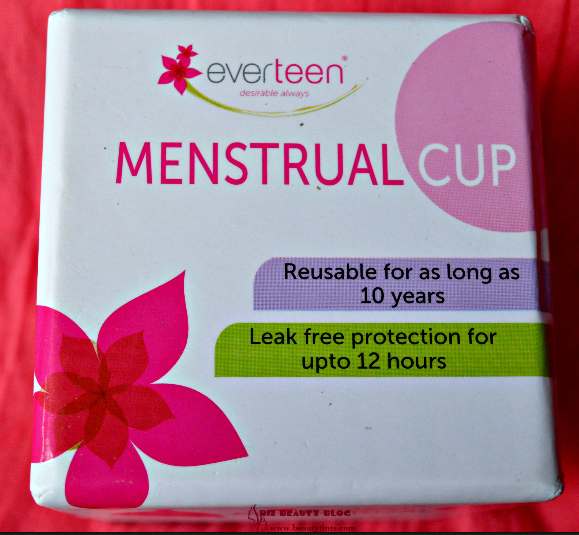 550 :: This is the first full sized product of 4.5 gm . 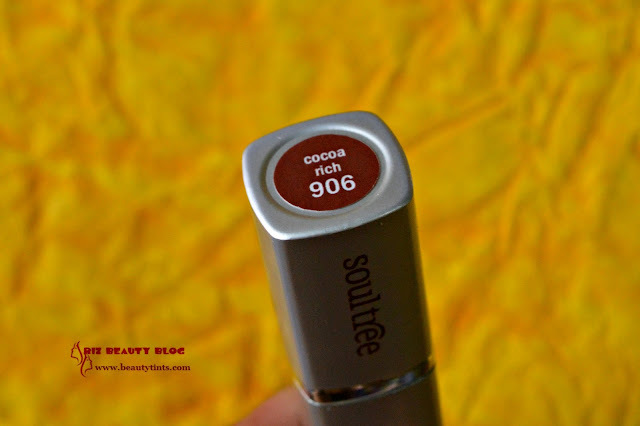 I love organic products especially for lips and I am super excited to try this lip stick as it gives a nice color with out the harmful synthetic colors,fragrances & preservatives.I got the shade 906,Cocoa rich,which is a dark brown color.I haven't used this kind of shade yet and I am super excited to try this! 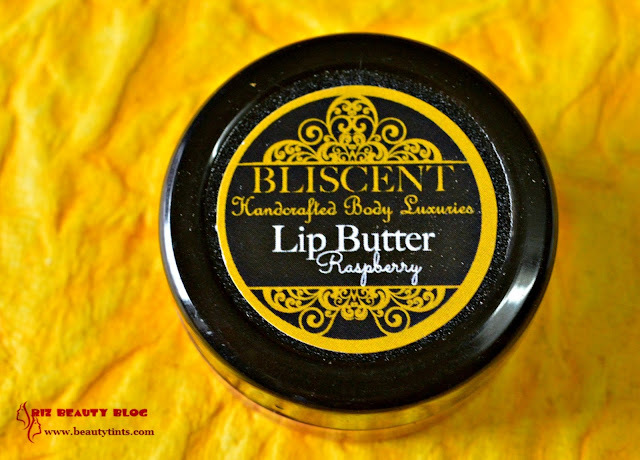 3) Bliscent Handcrafted Raspberry Lip Butter : INR 150 for 5 gms :: I have heard of Bliscent products before but haven't tried them yet.I am excited to try this lip butter.It smells nice. 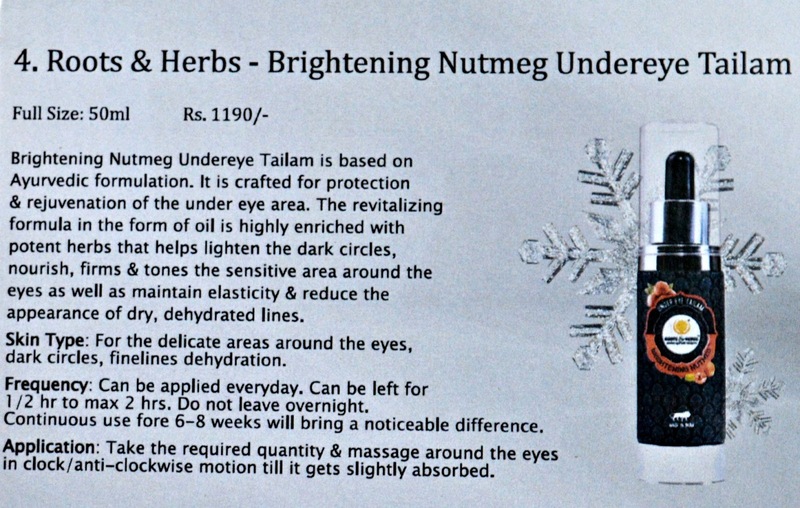 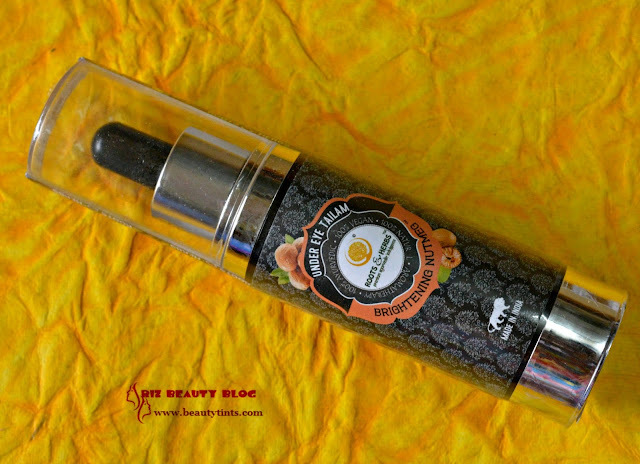 4) Roots & Herbs Brightening Nutmeg Undereye Tailam : This is a 50 ml product which is priced at INR 1190/- and this is my favorite product from the box.I am going to try this soon as my under eyes need this badly. 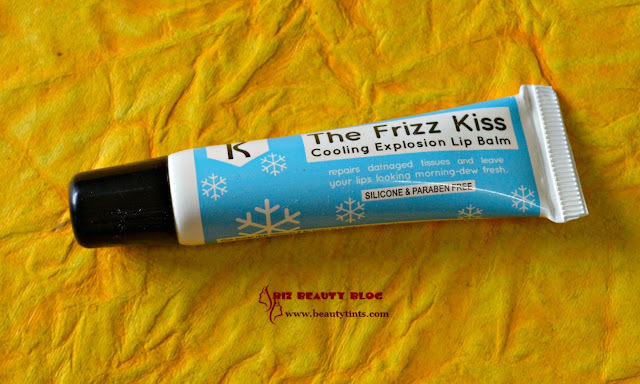 5) Kronokare The Frizz Kiss Cooling Explosion Lip Balm : It is priced at INR 95/- for 10 ml and I have used this lip balm before and its a good cooling paraben & silicone free lip balm. 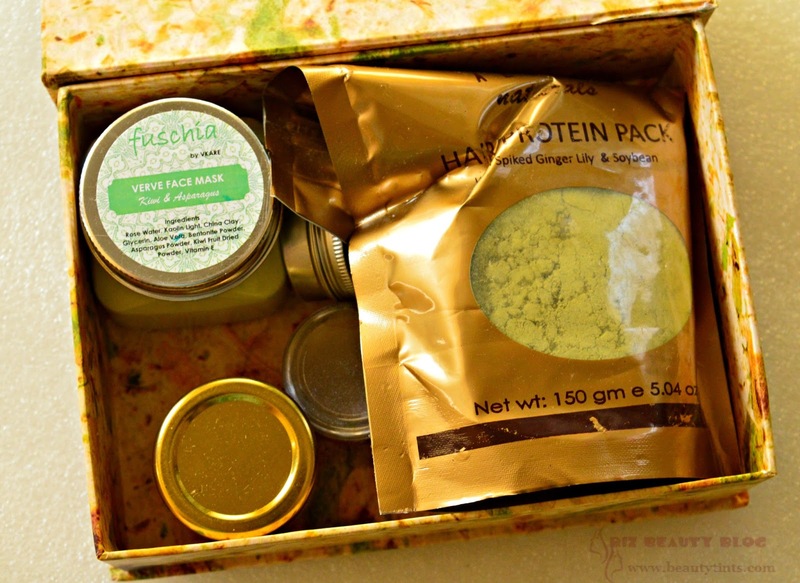 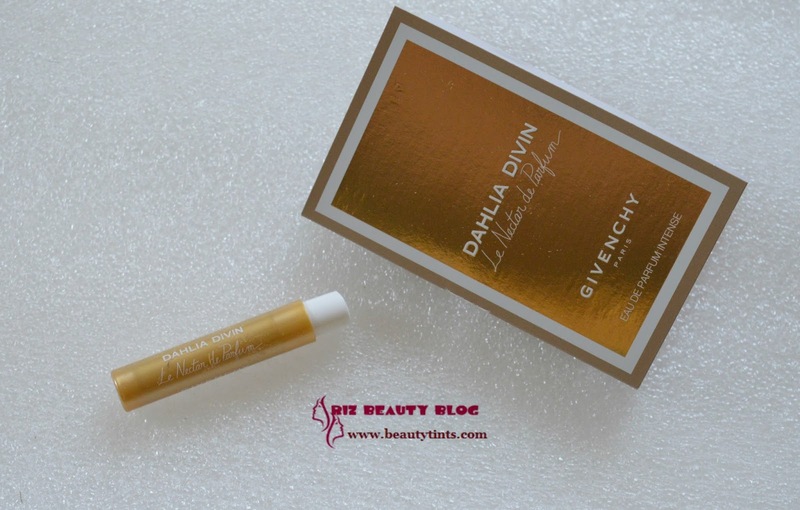 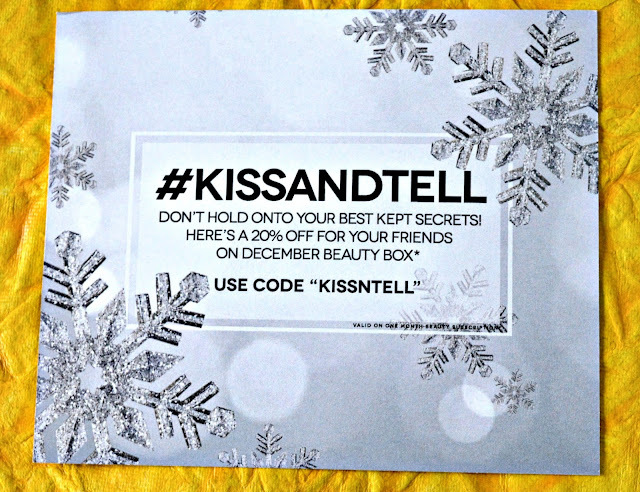 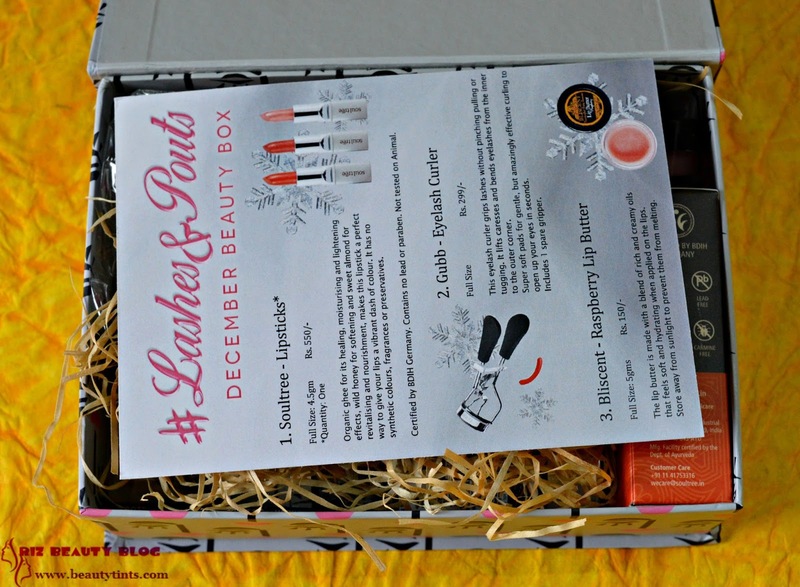 Final Conclusion About 'My Envy Box' December 2016 Edition Box: This Month's My Envy Box contains all full sized products which is a good deal and I am looking forward to try the Roots & Herbs Under Eye Tailam,Bliscent Lip Balm and Soultree Lipstick!